Laurel, what you do you mean the death of One Kings Lane? Aren’t you the one who’s always hawking their goods, singing their praises on a weekly basis? Yes, I definitely am! I have loved the One Kings Lane home furnishings website since its humble beginnings in 2009. Oh, and just so you know. One Kings Lane is NOT sponsoring this post; at least not directly. However, the post IS crammed with affiliate links, so if you should happen to purchase something after clicking on the links, I will most likely earn a commission at no extra charge to you. Back to your question: Did One King’s Lane actually die? Effectively, yes, but I will explain how it was brought back from the brink and currently thriving. The online shopping site was started by entrepreneurs Alison Pincus and Susan Feldman. And, bravely so, in the middle of a deep recession. But, it was a perfect business model for the time with its popular flash sales. Remember those? You don’t see them so much any longer. Brands, back then, were eager to sell, even at a loss, their fine home furnishings and the customers hungrily grabbed up the deals. For the first five years, One Kings Lane grew like wildfire. And in January 2014, the valuation was up to over 800 million dollars! However, just as quickly, the flash-sale model began to fail and its fall was a precipitous crash and burn until the doomed company was on life-support, teetering between life and death for much of 2015. Fortunately, in June 2016 the home furnishings giant, Bed, Bath and Beyond swooped down and in bitter-sweet irony purchased One Kings Lane at the flash sale of all flash sales for a paltry 11.8 million dollars. I’d say that was a pretty good investment. Interestingly, BBB’s stock has not been doing so well. I’m certainly no expert in investing, but it seems to me that this would be a good time to buy, if so inclined. This is only a hunch I have! Admittedly, as a long-time loyal customer of One Kings Lane, both for myself and for clients, I was oblivious to all of these happenings. however, I did notice that one day, the flash sales were no longer. Have to say that I rather liked that because I found the short time frame to be somewhat stressful. And/or they too frequently ran out of something I wanted minutes after it was posted. Very frustrating. There was definitely a collective groan two years ago as it came to light that Bed, Bath and Beyond had made the purchase of One Kings Lane. I suppose that most of us can’t shake the decades-long image of BBB as well, how should we say, not exactly having the same panache as a One Kings Lane? Well, I have to say, pretty damned well. As you guys know, I have promoted One Kings Lane to you ad nauseam – haha and here’s why. Two, their prices are usually very good and especially with their sales and promo code sales. shhhh… Laurel’s “private sale” (hehe) which is an errant promo code which nobody has noticed and/or bothered to fix and was supposed to have expired weeks ago. 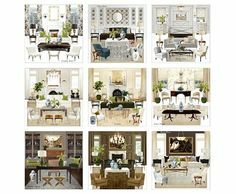 Try this code: OKL20CARD – for 20% off most items on the site but not everything.Okay, I have a freakin’ condo meeting tonight and so, let me show you the beautiful new One Kings Lane store in New York City, located in SoHo at 143 Spring Street. I went there last week with the beautiful Lotte Meister. Remember her exquisite home we visited recently? The new One Kings Lane store has taken up residence in a 200 year-old house and purported to be one of the oldest buildings in SoHo. The images above and the two below are from One Kings Lane. The rest of the images are ones I took while there, last week, except for one or two, which I’ll note under the image. Gorgeous Aerin Chandelier you can see over the round table as you walk in. Stunning and actually larger than it appears in photos. However, there’s a smaller version which you can see here. It also comes in either white or clear beads and either silver or brass finish. Image via One Kings Lane website. Happy customers looking at the beautiful items for sale at the One Kings Lane store, already decked out for Christmas. Another beautiful chandelier which you can see in the One Kings Lane widget on the Hot Sales Page. Oh, my, I’ve had this wonderful Christmas tree skirt on this page of my holiday shop since last year. And I recognize the bottom print which I love. This chair by Miles Talbot is soooo comfy and beautifully scaled. This is the new palette program which is quite cool. You pick a frame and then have a choice of fabric, but then you have numerous choices of color of the pattern and then there are three scales of the pattern to choose from as well! Below are some headboards that are part of this custom program at One Kings Lane. Tables are artfully filled with home accessories and gift ideas. And more wonderful pendant lighting! A warm dining area with another wonderful Visual Comfort chandelier. They aren’t showing the brass version, but they do have it in white. I would probably do a dining table that’s a little larger, but I love this idea with the banquette. This image is from One Kings Lane. One way to strengthen a business is collaboration. And, One Kings Lane has partnered with Plain English Kitchen which also has a showroom in SoHo, NYC. Ever since the recession of 2008, collaborations are the only way that some businesses in the home furnishings industry managed to stay in business. But, these partnerships are a wonderful way to augment a brand with a related product that acts to enhance the other. Wonderful Robin Bruce English Roll Arm club chairs. The cash-wrap area. Love the art and the large sconces. I couldn’t find the art on the website or the sconces, but here’s a link to the sconces on Circa Lighting. In the back of the store is a small room where one can go for professional interior design services. To find out more about that, click here. Love the pendants from Visual Comfort. They do need a high ceiling, as you can see. I could see them in this kitchen. Or this kitchen. Did you know that One Kings Lane has a line of paint? Me neither. But, apparently, they do. I don’t know anything about it. 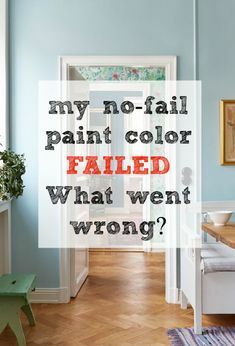 The palette is very nice but more limited than in the Laurel Home Essential Paint Color Collection. However, many of the colors look very similar. I love this shot looking back into the store from the design center. They did such a great job of creating a homey atmosphere; nothing overly flashy. And that’s exactly what I would expect from them– a natural extension of the One Kings Lane Online Brand. Standing in the background is a delightful young salesman named Sam. Lotte and I spent a while chatting with him. Well, we’re not done. Let’s go up to the second floor of the new One Kings Lane store in SoHo, New York City. Please notice the classic Hicks Pendants going up the stairs. This looks to be the small 12.75″ size. Remember when we saw them here? Love the colors in this vignette from the One Kings Lane website. More linens and pillows. This is a link for the sweater-weave basket. I love these! They always make me think of Mark D Sikes. The promo code works for this one. For more of my favorites, please check out the bed and bath pages, here. Here’s me on a gorgeous Robin Bruce curved sectional. I was so happy to be able to sit on the furniture. And yes, it’s supremely comfortable. See how comfortable I look? haha. This one’s a pro shot of the same sofa. I think that my colors are more accurate, however. Tucked away in the back far corner is the most delightful child’s room. I tried to find this bed online, but came up short. It’s possible that they’ve sold out already. More Visual Comfort pendant lighting and another wonderful art wall. Or you can also check out the entire collection here. In addition to this store, there’s another gorgeous store in South Hampton on Long Island, NY. I’m so glad that this brand of brands is doing so well. I’m sure that much of the credit goes to the talented president Debbie Propst. Remember when we got to see her gorgeous Connecticut home? Okay, there is still a big sale going on, on One King’s Lane, however, it is ending tonight. AND, it’s for 30% off. If an item is not on sale, please do try your promo code: OKL20CARD for 20% off. We’ll have to see in the morning if that code still works for the items that are currently 30% off. And in closing. It’s Giving Tuesday. Well, you guys have given so much to me. I’m overwhelmed with gratitude because for most of my life, I had nothing to give away. But since I do, thanks to you, I’m happy to give back. Remember last year about this time, I was sadly reporting about an imposter amongst us who had swindled a group of impoverished children belonging to the All Dorchester Sports League. They rely on donations to fund their after school enrichment activities. These are children who desperately need a helping hand. Who knows? I fantasize that for some, this program will change their life in a profound way. I see them graduating college and maybe going on to get an advanced degree and then finding the cure for cancer or something of that magnitude. It happens. Miracles happen every day. And yes, I gave a generous amount, but it’s only because well… you know “Raking It In Friday” (aka: Black Friday?) Well, I’m calling it that for a good reason! I can’t tell you how grateful I am. I know that I said that before, but it’s because I can’t say it enough. So, if you are looking for a way to give this Giving Tuesday, I encourage you to give any donation you can afford to these darling children. Please click the link here, to donate via a Go Fund Me page set up by Laurie Laizure. And don’t forget, the One Kings Lane 30% off sale is ending tonight and so is the Serena and Lily 25% off sale. Both are two of my favorite online shopping sites. It’s not often that they put so much of their sites on sale and for that amount off the regular price. I’m kind of nuts about this renovation and design–and it’s far from my favorite style. What I love here is the use of checks as a theme, plus using an oversized, more modern pattern with a more conservative setting. 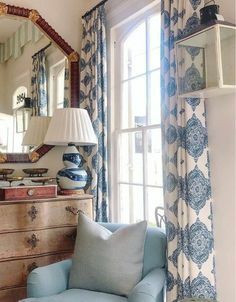 I’d love to see you post about using checks, or even more significantly, about using oversized classic patterns to enhance room design. OMG! Thanks for sharing that amazing reno. I love the remodelista blog. I often find myself there while researching blog post topics. I wish that they had made a graphic showing the before and after entrance to the school house. What a dramatic change! I did what you suggested, using a different browser. Used Chrome and OKL worked. Didn’t think of that since I’m usually on Safari. Can you tell your loyal readers why OKL doesn’t have reviews posted online? I rely on them when I order. I have put alot of items in my card (via your website) but I’m hesitant without reviews. I know you are not employee of OKL but thought you might know about this. Thanks! I wish they had reviews as well and don’t know why they don’t. Some items that they sell are available elsewhere. So, if they list who is the manufacturer, you can sometimes find it at other stores that might have reviews. OR, you can try doing a screen shot (They have disabled right clicking as well as saving the web page.) Once you have the screen shot, you can drag it into google images after you’ve opened up google images in a new tab. That sometimes works too. Laurel, I just ordered the Robin Bruce Brooke sleeper sofa in that rich forest green velvet. Seeing your picture of that fabric helped me decide since I was seeing all kinds of different variations of it in other pictures (the Brooke sofa and the curved sectional use the same one). Yes, I know – I should be getting a swatch before ordering but the sale price was just so good that I didn’t want to risk it. I do have the sample on its way right now before I pull the trigger on other decisions; thankfully, I am working with a nearly blank slate here and I do have a plan already. The OKL20CARD coupon worked on top of the Cyber Monday sale price. With that, I scored that sofa for almost half the price. Any idea who makes that rug they had under the curved sectional? Perhaps you saw the info for it when you were in the store. I can’t seem to find it on the OKL site. Just wanted to let you know the OKL20CARD discount is still working. And I got that on top of the extended 30% off sale that ends tonight. I bought some items from my wishlist. SCORE! Thanks for letting me know Elizabeth. And as far as I’m concerned, all of you ARE VIPs! And, I noticed that they extended the sale one more day. I seem to recall that they did that last year too. Holy Crap. Get this. I just put in something else that’s 30% off and it also gave an additional 20% off! Oh my! That’s crazy! That means that it’s probably most everything that’s on sale! Someone once complained to me that they thought One Kings Lane was too expensive. I’ve bought a lot of things on One Kings Lane that did not break the bank. There are plenty of affordable things there, and more than likely they are more interesting than similar objects elsewhere. I really think they get the luxury/affordable new/vintage mix just right, and the site is a treasure of the Internet. They also a great at introducing customers to really nice product lines. I love Ave Home Furniture and I saw their products on One Kings Lane first. They absolutely do ship to Canada through a third party service. I started to worry when I read the very beginning — I just placed my first-ever order from OKL on Monday and thought, “Oh no, did the company go under and will I not receive it?” We are almost done with a full kitchen renovation and husband decided we should get a new light fixture for the breakfast room, to go with the new kitchen! It’s the Go Lightly chandelier, in your photo with the banquette. I measured everything twice and it should be the right size and scale (ceiling is 9’ 10”). Can’t wait! I will have to visit the store the next time we’re in New York. Your photos make it look so lovely and inviting! I have to agree with you too. I discovered One Kings Lane when they first launched. They had some of the most beautiful home decor anyone could imagine! And definitely not easily acquired in the Bay Area unless you had a double income salary in CA! Everyone thinks we are rich here. It’s not reality. We are not all ridiculously rich and famous. I hated it when OKL turned to the flash sales, the clock ticking, resulting in what felt like hot flashes and cold sweats! Ugh! I stopped frequenting to get some relief. I experienced some blissful moments and want to hang on to them. I am trusting. I want to believe! I hope this new store concept is a smash hit! I lived in Palo Alto in the mid 70s. Back then, I had an apartment for only $165/month. Isn’t that outrageous. If interested, I wrote a charming post about my time there. Hi Deborah. I’m very much looking forward to seeing how these new stores move this company forward. The over-all feeling of this store seems geared towards urban millenials. It’s full of natural fibers and earthy textures. But, not everything and not just the same old, same old. And I wonder if there are plans for more stores. I imagine that there are. Very exciting times for One Kings Lane. I took one of my clients there last weekend. Fell in love with the Miles Talbot swivel chair (aka Auburn Swivel Chair) and a lamp. Both were ordered. And I see that the price of the chair has gone down during the week. It’s the most comfortable chair.